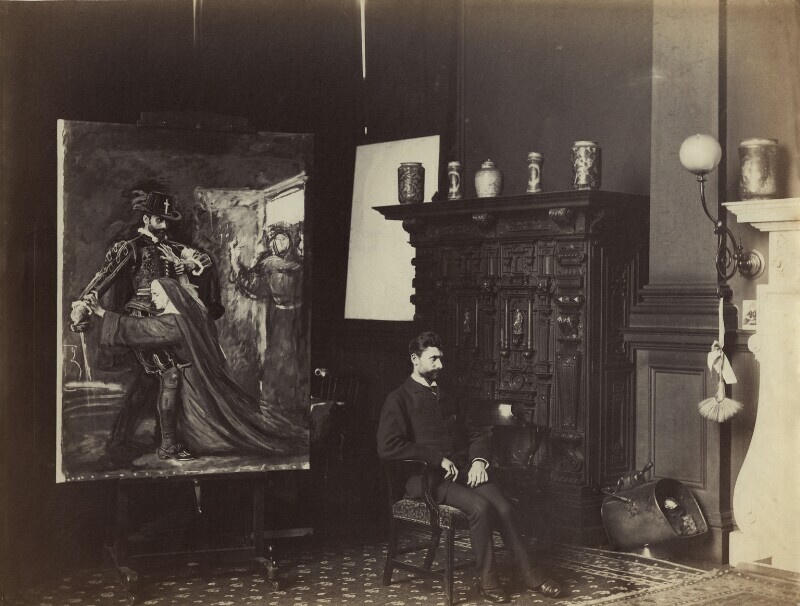 Sir Geoffroy William Millais, 4th Bt (1863-1941), Traveller and photographer; son of Sir John Everett Millais, 1st Bt. Sitter in 5 portraits. Seated in his father's studio beside the unfinished painting Mercy: St Bartholomew's Day, 1572 (1886; Tate Collection), for which he posed as a Roman Catholic enthusiast in the massacre against the Protestants during the French Wars of Religion.